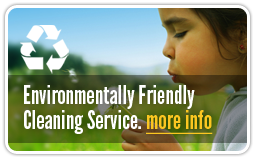 Our teams provide cleaning services for customers throughout the Greater Toronto Area and in many outlying cities. So whether you need commercial cleaning for your office in Vaughan, or janitorial services for your plant in Pickering, we can help. From North York to Newmarket, Oshawa to Oakville, we’ve got your cleaning covered. North: North York, Willowdale, Thornhill, Richmond Hill, Vaughan, Woodbridge, Markham, Stouffville, Uxbridge, Aurora, King City, Newmarket, Bradford, Cookstown. East: East York, Scarborough, Pickering, Ajax, Whitby, Oshawa, Courtice, Bowmanville, Port Hope. West: Etobicoke, Mississauga, Milton, Oakville, Burlington, Hamilton, Stoney Creek, Brampton, Georgetown, Brantford. Copyright © 2019 Marathon Cleaning Service - All Rights Reserved.